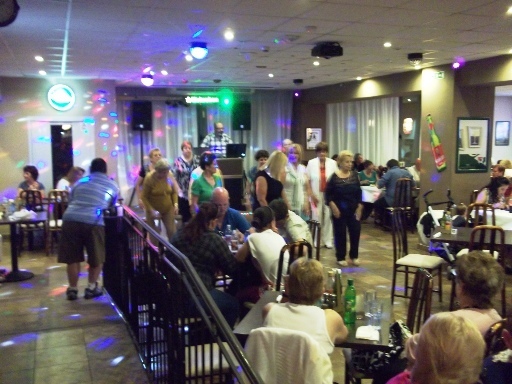 Dance the night away at Angelo's Pub and Diner, great food and entertainment! 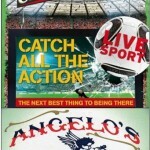 Ray and Isabelle welcome you to Angelo’s. 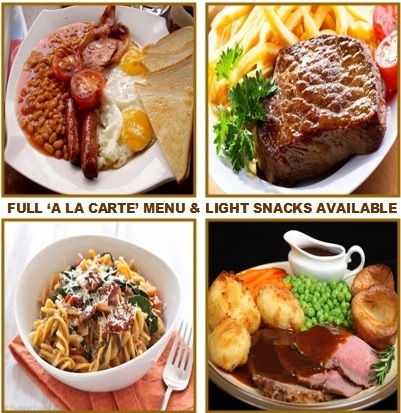 We have been established on the main seafront in Bugibba for over 20 years and our reputation continues to be for value for money across our full range of food and beverages. 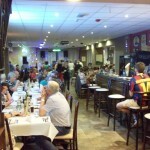 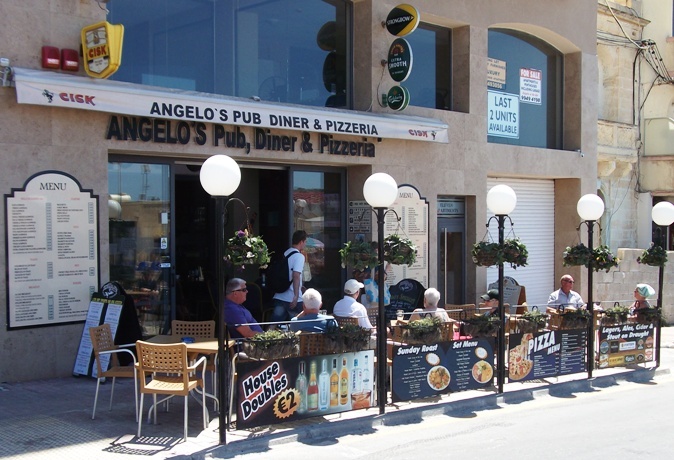 Angelo’s Pub, Diner & Pizzeria is one of the largest venues in the St Paul’s Bay area with over 60 tables for the comfort of our diners as well as an outside terrace offering views out across the beautiful Mediterranean Sea towards the neighbouring island of Gozo. 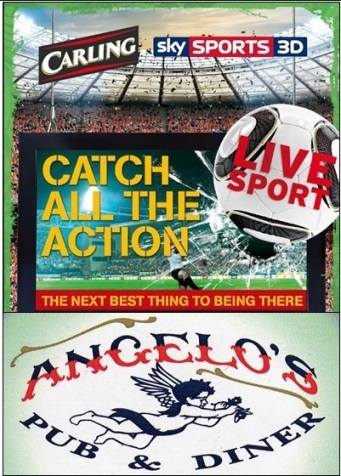 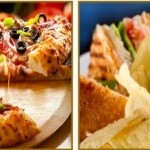 Here at Angelo’s, we offer an extensive menu which includes steak, fish, poultry and pasta dishes along with freshly made pizzas, full breakfasts and a variety of light snacks including baguettes, toasted sandwiches and more. 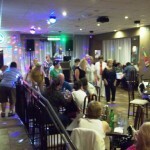 so popular among locals and tourists too! 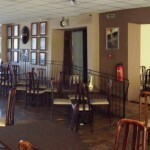 We also offer daily fresh cakes and a selection of coffees. 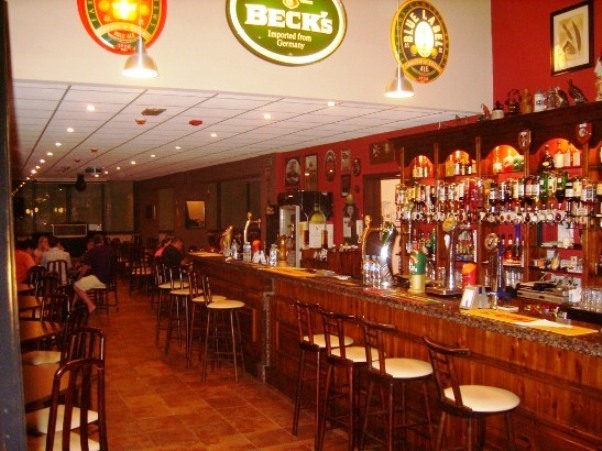 Our bar is equipped with both bottled and draught beers, a full range of branded spirits and a large wine selection, all of which are offered at very reasonable prices. 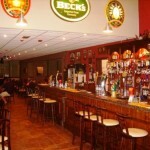 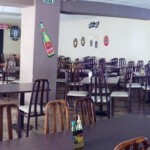 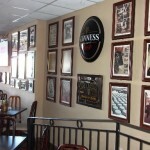 (Draught beers include Guinness, Strongbow and Cisk). 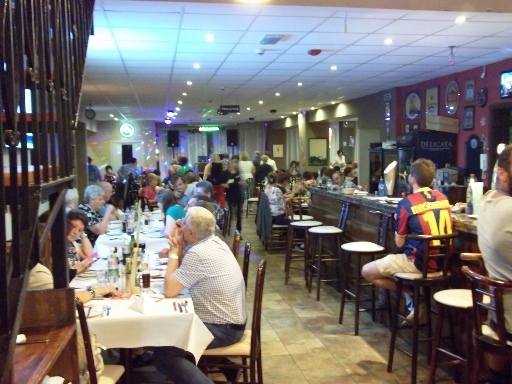 Our modern, clean and spacious venue also boasts several large LCD screens showing all sports including English and Italian football with several events or matches available to be shown at the same time. 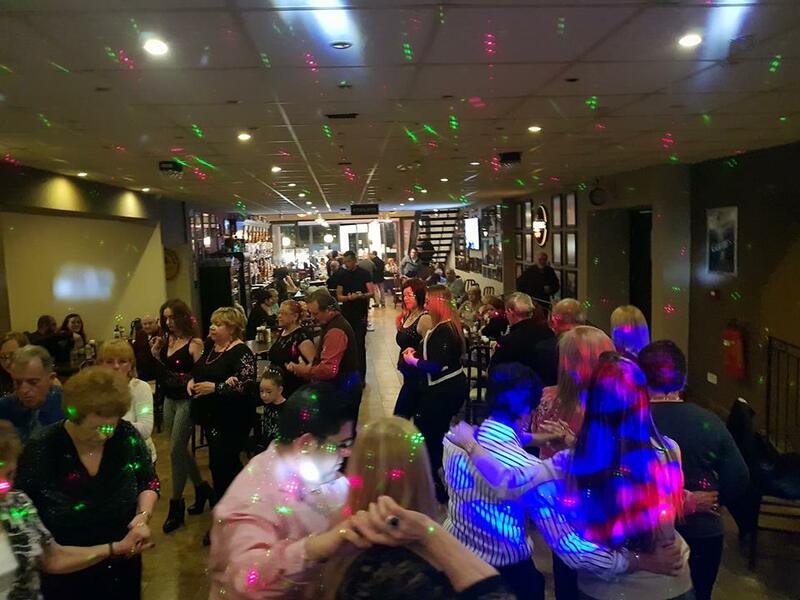 At the weekends we offer regular live entertainment, particularly on Friday, Saturday and Sunday nights when locals and visitors alike combine their evening meal with dancing the night away to our regular DJ playing a wide selection of music for our guests. 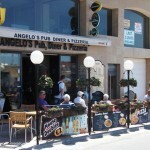 In summary, Angelo’s is the perfect place in the heart of Bugibba seafront to enjoy a beer in the sun, breakfast, a light snack or even your main meal of the day in a relaxed and comfortable atmosphere. 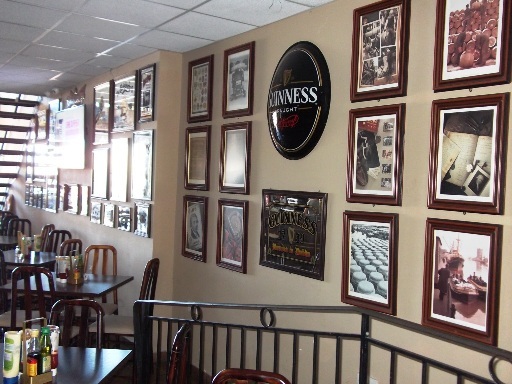 Come and give us a try, we’ll be very happy to be of service!